We are very proud to present our Featured Kitten Hall of Fame 2010 !!! 1. 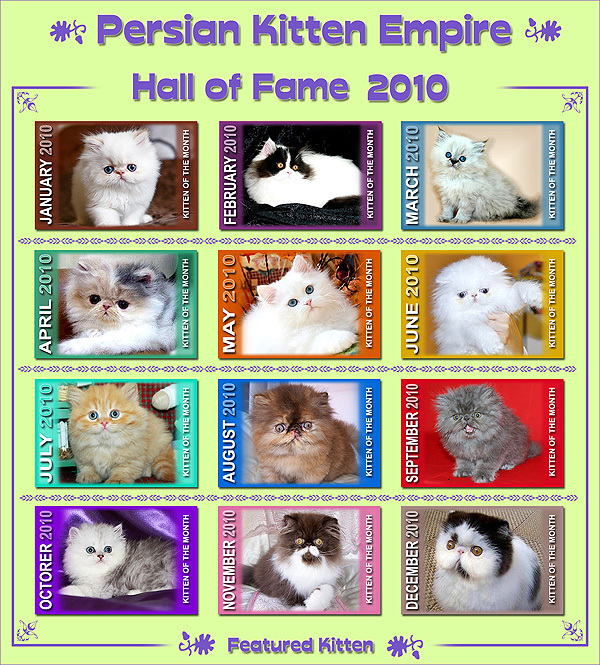 Your kitten(s) will be FEATURED on the FRONT Page of Persian Kitten Empire! 2. Each picture is LINKED DIRECTLY to your Listing RIGHT from the FRONT Page of Persian Kitten Empire  this will increase your web exposure and will bring MORE customers to your website.